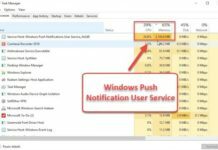 You might have faced The application was unable to start correctly (0xc000007b) error while running an application or a game . 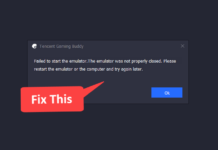 This error usually occurs in programs that uses DirectX, that’s why this error is popular among games like GTA 5, Call of Duty, Max Payne 3, Far Cry, Assassins Creed, Battlefield. A program of 32-bit tries to run in a 64-bit system. Due to damaged application files or system files. The installation of updates might be interrupted. Deletion of software directly from the installation folder. How to Fix Error 0xc00007b? There are various methods you can used to fix this error. Depending on your situation some methods would work for you while other methods won’t. So make sure to try all the possible solutions. Uninstall the application which is showing the error. Now reinstall .Net framework and VC Redist from this links – Dot Net framework | VC Redist. Install the application again and it should fix 0xc00007b error. If you have a 64 bit system then try this method. Once it’s downloaded, extract it and copy the DLL files. Now go to your C drive and navigate to C:\Windows\System32. Here paste the copied files, if you get a prompt to replace the files then replace them. Click start and search for cmd, Right click CMD and select Run as Administrator. This command will search for corrupt Windows files and repair them. Once done try to run the application again. This should fix “the application was unable to start correctly” error. Run command prompt as administrator by searching for cmd, Right click CMD and select run as Administrator. Hit enter and it will start scanning your drive for HDD errors. If you found some serious errors which Windows can’t fix then check our article to fix HDD errors. Right click the program which is displaying 0xc00007b error. Select properties and go to compatibility section. 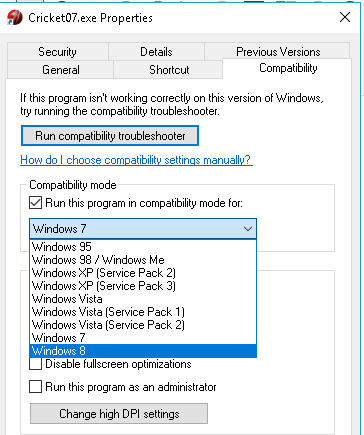 In compatibility, select run this program in compatibility mode for and from the drop down menu select the previous version of Windows and click apply. In case xinput1_3.dll file gets damaged or overwritten with some other version then your system can cause 0xc000007b error. So, to solve this problem you have to replace the 32-bit xinput1_3.dll with the compatible version. I don’t recommend this method as accidentally deleting any other file may cause the system to crash, so try other methods and only try this method if none of them are working for you. Go to this PC and locate to the drive where Windows is installed, in most cases it C drive. In C drive navigate to Windows>System32 folder. You can find the search bar in top right hand corner. Now carefully delete all these files. Reboot your computer, the error 0xc00007b should be fixed. A third party program might be causing this error so performing a clean boot can help to eliminate software conflicts and fix this error. Go to start menu and search for MSCONFIG and launch it. 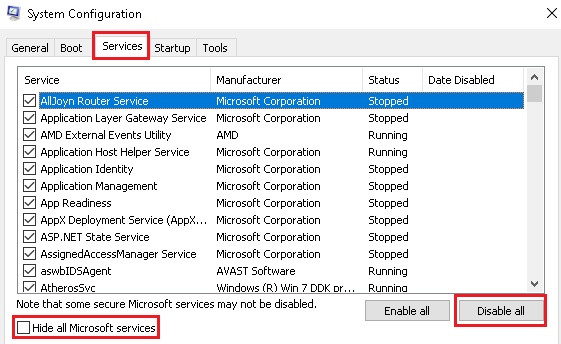 In Ms Config go to the Services tab and click on hide all Microsoft services. Now click on Disable all button, this will disable all the third party programs which starts at Windows Start up. Switch to start up tab, it will ask to open task manager. Here manually disable all the enabled services. Make sure not to disable your audio driver. Now restart your computer and check if the error still exist. If the error is not solved then again repeat the steps and enable all the servers we have disabled. These were few solutions to solve – the application was unable to start correctly error. Make sure to comment which method worked for you.